This past week I got my tetnus and whooping cough shot and now I start taking Chlorquine to fight off Malaria and hopefully mosquitos. They say that the Haitians are fighting with those that have housing and those that don’t and that security will be very high in the area. It will be interesting. Ready to go, have passport and airline tickets. I am collecting small toys to take to the kids in Haiti. On Jan. 12, 2010, an earthquake with a magnitude of 7.0 struck the Caribbean nation of Haiti just 10 miles west of the capital, Port-au-Prince. The earthquake damaged nearly 190,000 houses, of which 105,000 were completely destroyed. Of the more than two million affected survivors, 600,000 are still displaced today. Soon after the earthquake, Habitat set a goal of serving 50,000 families over five years, helping them move toward safe, secure and permanent places to call home. More than 24,500 emergency shelter kits are in the hands of people who needed them most. The kits included tools — hammers, pliers, chisels, work gloves, rope and tarps. These tools have allowed Haitians to clean up debris, complete basic repairs and create emergency shelter. In addition, more than 3,300 emergency shelter kits have been stockpiled, ready to distribute quickly whenever a disaster occurs. More than 3,000 families have received transitional or upgradable shelters, with many more shelters to be constructed in the coming weeks and months. Habitat’s upgradable shelter features a timber-frame skeleton with pressure-treated plywood walls, a tin roof and permanent concrete perimeter foundation. The structure is built so that concrete blocks can be added later, as the family’s finances improve. More than 14,000 housing damage assessments have been conducted. Assessments help determine which structures can be made safe and which need to be torn down. Habitat has launched its repair and rehab program with more than 200 repairs or rehabs slated to be completed by the end of July. More than 3,000 Haitians have been trained in construction or construction business practices with another 1,200 trained in financial literacy. More than 700 Haitians have found job opportunities through Habitat Haiti’s main office and Habitat Resource Centers. In a nation with an unemployment rate of 60 percent, job opportunities are a crucial part of rebuilding. 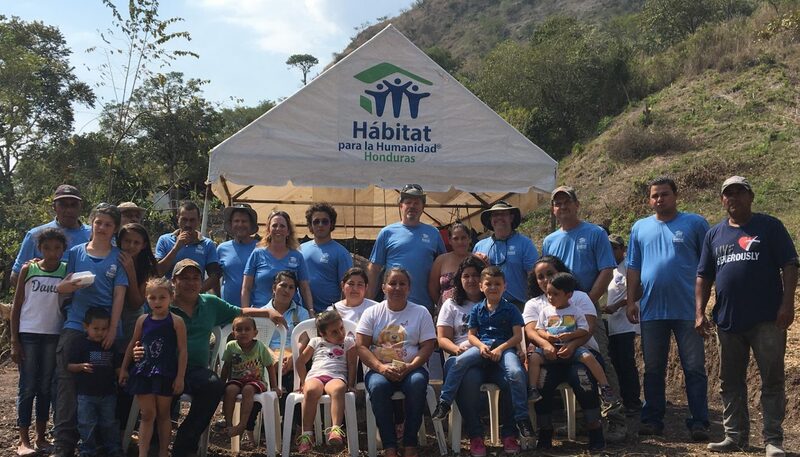 This summer, Habitat for Humanity will break ground on a permanent housing development in the Santo community of Léogâne. Léogâne is close to the epicenter of the Jan. 12, 2010, earthquake where nearly 80 to 90 percent of buildings were damaged or destroyed. The development will provide housing for up to 500 homeless families, or approximately 2,500 individuals. While we measure our progress by the number of families and individuals served, the impact of our work can be seen in the transformation not only of lives but entire communities. We call it our urban development approach, which is based on empowering and strengthening communities in defined geographic areas. By working closely with communities, we help them to build self-confidence to take action, identify and prioritize their needs. We also help them develop community action plans and leverage their collective capacity to advocate for change. One such community is the Simon-Pelé neighborhood of Port-au-Prince where Habitat has been actively engaged since last October. With support from donors, local community organizations and government, the community maps (or enumerates) each house and building in Simon-Pelé and surveys each family. Information collected helps the community understand their own needs and gives them the tools to become change agents and champions for critical services. To date, more than 6,000 houses and buildings have been mapped and numbered and approximately 6,000 households have been surveyed. November will mark a new page in my life. I will travel to Haiti to help build 400 homes for families affected by the devastation. Habitat for Humanity will be hosting the Jimmy Carter work project. Check back for posts on this adventure.